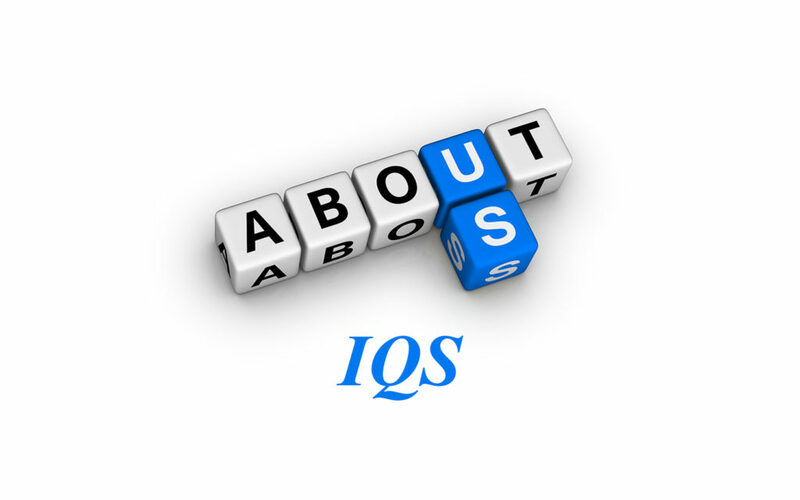 International Quality Services IQS is a fully accredited, third party certification body providing certification of Quality Management Systems (ISO 9001), Environmental Management Systems (ISO 14001), Food Safety Management Systems (ISO 22000 and HACCP) and Safety Management Systems (OHSAS 18001). The Company was established and now operates throughout United Kingdom, Asia, the Middle East, Western Europe and Africa. In addition to ISO certification, International Quality Services also certifies a number of other management systems including QHSE and other industry specific and small business management system standards. International Quality Services was developed following a demand from the business community for a local, customer focused company to assist in third party certification. International Quality Services was developed and the Company commenced operations. The Company was formally accredited by the International Quality Management System (IQMS). .
Now, International Quality Services is the fastest growing certification body in the world. International Quality Services a broad cross section of business clients from all sectors of industry and can provide certification to companies and organizations anywhere in the world. To facilitate international trade through third party certification and auditing/inspection services. To provide a reliable, no nonsense and simple auditing, inspection and certification process for organizations to assist in meeting their business objectives and continual improvement. We will offer excellent customer service and support to ensure we are known as the most customer focused certification body. We will maintain internationally recognized accreditation. We will ensure we are accredited to provide certification of all major management system disciplines. We will offer the most acceptable alternative to the ISO Series for management system certification of smaller companies. We will strive to ensure the International Quality Services Certification Mark is more recognized than other competitors in the world. Once certified, clients can display our Certification Mark to promote and demonstrate compliance with international standards. Our global Certification Mark consists of a symbol of the world with a bold colored tick symbolizing quality, environmental, food safety or OH&S. The Global Certification Mark is subscripted with the phrase “Quality Certified”, “Environmentally Certified”, “Food Safety Certified” or “Safety Certified” indicating compliance with the relevant Standard. Why International Quality Services – what are the advantages? International Quality Services’s philosophy is to work in partnership with our clients to present a professional auditing & certification service that ensure compliance to the relevant standards, facilitates continual improvement & adds value to the business. International Quality Services provides a no nonsense, practical approach to interpreting your management system in accordance with the requirements of the appropriate Standard. We are dedicated to providing total customer satisfaction while maintaining a credible, logical understanding of the Standards and an appreciation of your Company’s needs. At International Quality Services we strive to retain simplicity in the audit process & set the highest priority on client requirements in a partnership relationship. International Quality Services assures your certification will be accepted worldwide. International Quality Services certification marks are able to be displayed on marketing & promotional material. International Quality Services employs carefully selected auditors who have had extensive business experience, who understand business demands and who are qualified Auditors. International Quality Services offers a cost effective service designed to be attractive to all companies and, in particular, those small companies which comprise the majority of our business structure within the word. International Quality Services responds, our auditors are available to visit at your convenience for a no obligation, free quotation and to explain what services are available prior to your formal application for registration. International Quality Services services are available when required and will fit into your timetable for inspection audits and final assessment. International Quality Services conducts regular surveillance audits scheduled to conform with your availability. International Quality Services was initially developed to provide the market with a readily available alternative to the larger, more bureaucratic companies. We offer prompt service with a practical application at a real cost advantage. International Quality Services processes certification faster than any other certification body. International Quality Services promote your certification through the E-certification on our international website. MSC Chain of Custody certification. Second Party Auditing(auditing against customers’ specifications). Supplier Assessment(assessment of suppliers to major customers & mystery assessment ).